VeryPDF CHM to PDF Converter, Convert CHM (HTML Help) file to professional PDF format, convert CHM to PDF by software for Windows, convert CHM to PDF via command line program. Intelligently extract CHM content from each chapter. CHM Table of contents to PDF Bookmark. Batch conversion; Command Line conversion; Hot DIR conversion. 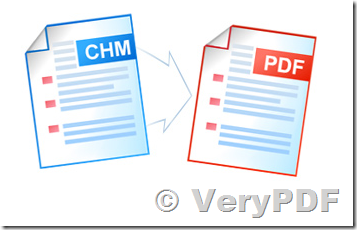 Support CHM to PDF Command Line. 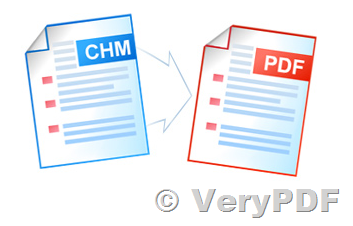 Convert and combine multiple CHM documents to single PDF. This entry was posted in CHM to PDF Converter and tagged chm to pdf, HTML to PDF, manual to pdf. Bookmark the permalink.